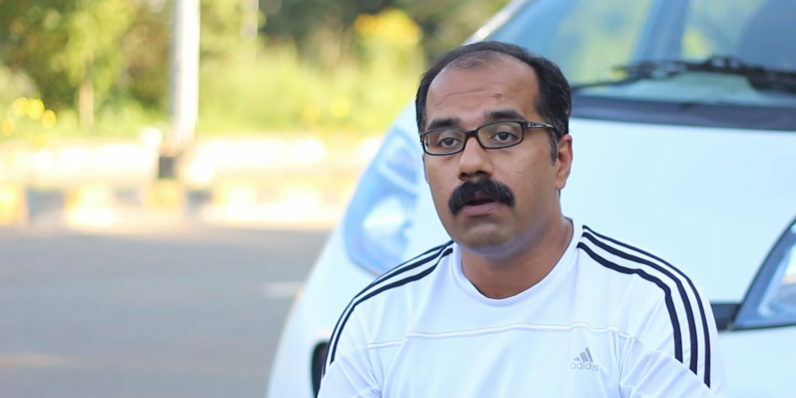 Indian creator of $3,500 self-driving car: "Reaching Level 5 autonomy will take a decade in India"
Since the 80s, the global automotive industry has been actively exploring the potential and possibilities of autonomous vehicle technology, with developments advancing rapidly in the past decade. Notably, India wasn’t hopping on the bandwagon – until Dr. Roshy John came along, that is. It was Dr. John’s initial research that spurred his employer, the $12 billion IT services firm Tata Consultancy Services, to enter this fast-growing field. Having earned a Ph.D in robotics from National Institute of Technology, Tiruchirappalli, India, he’s been in robotics for a decade and a half. and spent more than five years working on self-driving cars – on his own steam. Back in 2010, when John was taking a cab home from the airport late at night in Kochi, he noticed that the driver was sleepy and driving callously as a result. That’s when he decided to look into creating a solution so people wouldn’t have to risk their lives to earn a living, and so passengers would be able to count on a safe ride home. Over the next few years, John independently took upon the task of building a self-driving system from scratch. Working with a team of engineers from his firm, John began, as people do with most robotics projects, by creating a simulation of the vehicle driving around a virtual city with roads, obstacles and conditions that human drivers encounter in the real world. Next John’s team set to work gather data from the field by mounting cameras onto real cars and driving the vehicles around town and on highways. He then bought a Tata Nano, a tiny $3,500 hatchback that’s barely 122 inches long, and took it apart so he could figure out how to steer and control the manual-transmission car remotely. John fitted it with sensors, actuators and cameras, as well as a system to automatically handle the steering, gas, brakes and gearbox. The next step was to make the entire setup modular, so it could be fitted onto other cars quickly and deployed into tests on real roads as soon as the opportunities presented themselves. Speaking to TNW at NASSCOM’s Drive with IoT event last week, John, who’s now the Global Practice Head at TCS, said that the company has now managed to achieve Level 4 autonomy with its driverless technology, and has made some strides in Level 5 autonomy (fully self-driving). It’s now developing this tech further for clients including Tata Motors (which owns brands like Jaguar and Land Rover). It’ll be a gradual evolution, from simple ADAS (advanced driver-assistance systems that can do things like help a driver park in a tight spot) to more complex onboard systems (that can detect if a driver is drowsy or inebriated and disable the car temporarily), and finally reach Level 5 autonomy. That will take about a decade in India. There’s a major opportunity for software developers in the field of autonomous vehicles, particularly those in India who can readily access our difficult roads and driving conditions for training AI models. If it works here, it’ll work anywhere. I’d be inclined to agree. Earlier this year, I wrote about why India is the perfect testing ground for self-driving cars, and how much the country stands to benefit by being a part of the driverless revolution. From bringing the number of road deaths down from 400 a day, to tackling record-breaking urban air pollution woes and reducing the number of cars clogging the country’s roads by enabling carpooling, this is a no-brainer. Farming and mining applications will be the first to receive self-driving tech in India, because the driving patterns are far simpler – no humans and other vehicles in your path to worry about. They’re also quick to adopt new technologies, and some companies in these fields are already in the process of feasibility checks of self-driving vehicles. Plus, these industries are key drivers of our country’s economy, and so there’s plenty of money to be made by increasing efficiency through automation. He added that there’s also a chance that the industry’s growth could be catalyzed by the move towards electric vehicles, which might be driven by government initiatives to go green, as well as rapid development of the market for electric vehicles in India. To that end, there are a couple of pointers that have made the news recently: for one, Nissan Motors has filed numerous self-driving tech patents in India over the past few months, which are likely intended to further the company’s ProPilot driverless effort. What’s more, Piyush Goyal, the Minister of State with Independent Charge for Power, explained at an industry conference this year that the government’s mission is to ensure that “by 2030, not a single petrol or diesel car should be sold in the country.” He added that the government is working on plans to promote the adoption of electric vehicles nationwide, as well as to support the auto industry while the market stabilizes during the course of this revolution. More people are getting used to not owning and maintaining and parking a car. The overheads are a problem. With the spread of on-demand cabs and digital payments, more people will get used to the idea of mobility systems. I think the new generation doesn’t really care as much as previous generations about owning a car. Personally, I enjoy owning vehicles and driving manual transmission cars. I like being able to have a car that I drive on my own and admire for its engineering. But I’ll probably be one of the few who’ll still want a car 10 years from now.